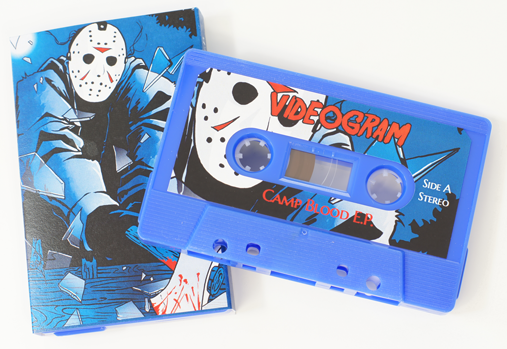 Videogram: "Camp Blood EP" cassingle! Here we go; My eight track "cassingle" version of the Camp Blood pic disc 10" EP on Cineploit is finished and will ship out next week. This limited-edition version includes all the tracks off the vinyl release with additional bonus tracks (currently only available on the digital Bandcamp version). Manufactured on sharmi blue cassettes with full color A and B side stickers, the release comes in a wrap-around sleeve with Andy Grail and Migue Rivera's *gorgeous* artwork printed on premium recycled cardstock. Direct orders comes with a sticker and free download code. More info via my Facebook page here. 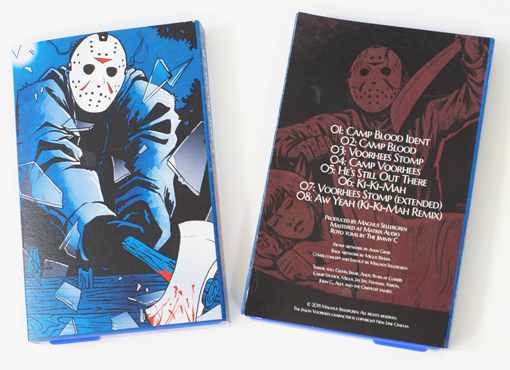 EDIT: The Camp Blood cassette has sold out, the last packages were sent out yesterday and should arrive within the next 1-2 weeks, depending on your location. Many thanks to those that ordered a copy. Cheers!